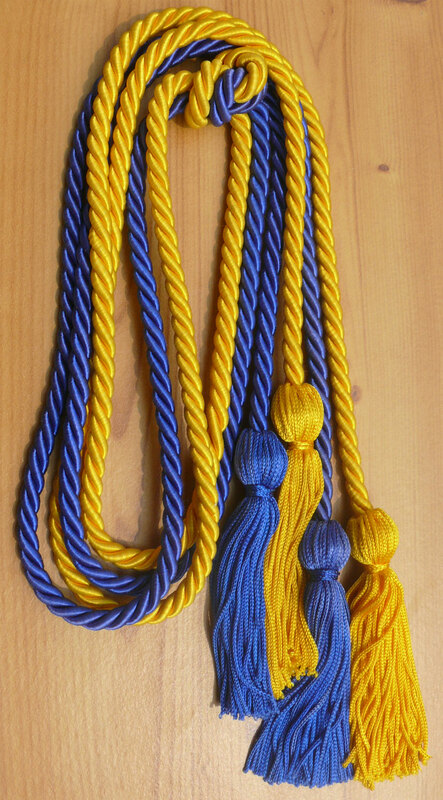 Customer Reviews on "Gold and Royal Blue Double Tied Honor Cords"
Just as described and at a great price. Shipped by Fed Ex so they arrived within a couple of days after ordering. Will bookmark and re-order next year for sure. We ordered a handful of honors cords in an atypical color selection (light blue and silver). We received our cords, in full, on time, great product. Write you own review on "Gold and Royal Blue Double Tied Honor Cords"